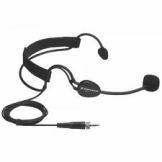 A headset microphone of exceptional sound quality, the ME 3-II is intended for music and speech applications (but is excellent for speech recognition) that require maximum movement and close proximity signal reproduction - meaning applications with high on-stage sound present no problem. The headband is comfortable and immovable, enabling use during exertive dance or sports activities. The super-cardioid condenser design offers excellent feedback rejection. Consider adding an external USB Pod to enhance your sound and performance. Internal soundcards are not well-suited to speech recognition and for that reason, we recommend adding an external USB sound card for optimal accuracy and performance. 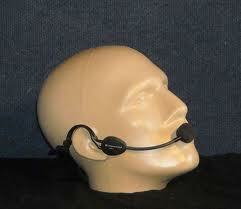 Choose a product to outfit your microphone. Consider adding an external USB Pod to enhance your sound and performance. Internal soundcards are not well-suited to speech recognition and for that reason, we recommend adding an external USB sound card for optimal accuracy and performance.